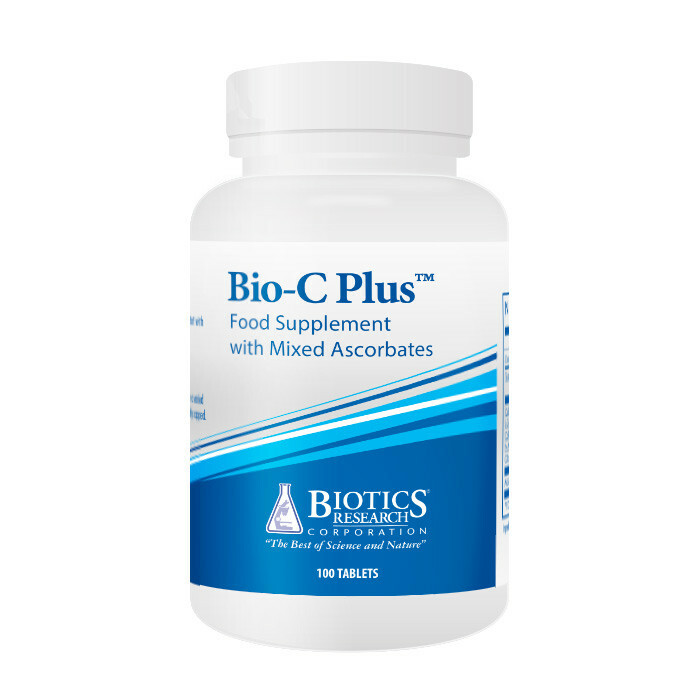 Mixed Ascorbates with Bioflavonoids along with SOD and Catalase, supplying 500mg per tablet of Vitamin C.
One (1) tablet three (3) times daily as a food supplement. Do not exceed the recommended daily dose. Not to be used as a substitute for a varied diet. Ingredients: Calcium Ascorbate, Magnesium Ascorbate, Pisum sativum Organic Vegetable Culture**, Stearic Acid (vegetable source) (E570), Modified Cellulose Gum (E466), Food Glaze (E904), Potassium Ascorbate, Sodium Ascorbate, Citrus Bioflavonoids, Magnesium Stearate (vegetable source) (E470b), Silica (E551).